Michael Hyatt is a gifted writer and business coach. The below post is from his website where he elegizes one of my favourite authors Maya Angelou. The desire to create lasting transformation in the world is what really drives us as leaders, right? Since the news of her death, I’ve been thinking a lot about Maya Angelou. Her legacy offers several valuable insights for living a life of true significance. 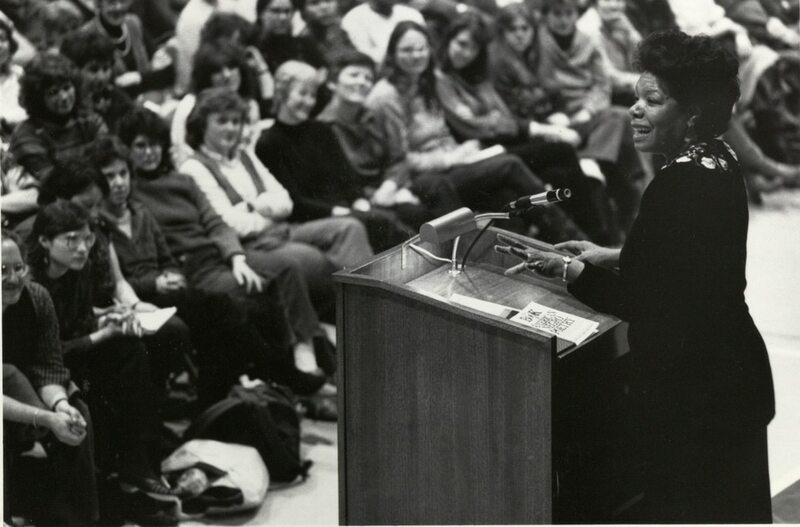 The odds were against Angelou in her early years. Her parents divorced when she was three, and she spent several years under the care of her grandparents. Then, when she finally moved back with her mother at age eight, she was sexually abused by her mom’s boyfriend. Within hours of his conviction the abuser was murdered. Angelou blamed herself for the man’s death. Can you imagine the trauma? It was so overwhelming she became a mute and wouldn’t speak for years. But somehow writing gave her a road out. She wrote poems as a teen, moved to New York as a young woman and joined the Harlem Writers Guild, and then traveled abroad as a journalist, working in Egypt and Ghana. At home in the States she was active in the Civil Rights movement and also worked as a singer, actor, and screenwriter. She’s best remembered as a poet and the author of I Know Why the Caged Bird Sings, the first of five best-selling memoirs. Sure, people will debate the merits of her work, disagree with her politics, and criticize her literary contribution. But whatever your opinion, Maya Angelou has a lot to teach us. A foundation of faith can give us the confidence we need to act boldly. Look at the long list of Angelou’s accomplishments, and ask what we could do if we could take courage in our faith. I bet it’s more—and better—than we dream. Everyone today says we should follow our passions, that we should do what we love. I agree. But that’s only a recipe for significance if people care about what we love. Whatever our passion and drive, we have to contribute to others for our lives to matter to them. We need to offer something they really need, something they just can’t let go of. Angelou’s writing is so graceful it can seem effortless. But it’s not. It takes practice, training, and cultivation for talent to become more than potential. A life that matters requires work. Speaking about the South, Angelou said it’s easy to see it as “a repository of all bad things,” but she decided to see it differently. Optimism puts us in control of negative events. Sometimes the only thing we can control is our reaction. And refusing to let the tragic and unfortunate get the upper hand is the best response if we want to rise above. Sometimes others know us better than we do. A challenge from the outside can be just what we need to trigger excellence. Initially, Angelou didn’t want to write I Know Why The Caged Bird Sings, but a friend, James Baldwin, conspired with Angelou’s editor Robert Loomis. Loomis followed Baldwin’s advice, called Angelou, and told her to forget it—writing the memoir didn’t make any sense. “It’s nearly impossible to write autobiography as literature,” he said. She took the bait. “I’ll start tomorrow.” And the rest is history. And thank goodness. Maya Angelou has had a global impact for these and many other reasons. Perhaps the best way to honor her accomplishments is to take what was best in her life and let it fuel our own. Visit Michael Hyatt website and take a look around. What has been your experience with Maya Angelou?